Reddit has today announced the launch of a crowdfunding platform called Redditmade, where Reddit’s expansive community can raise funds for products and causes they are working on, or donate to other people’s campaigns. Like other crowdfunding platforms, users can offer a range of different things – from sticker packs to $100 headphones at the moment. Unlike other platforms, however, it seems to be more of a marketing channel for people running subreddits to sell merchandise, rather than exclusively being a place for people to raise funds products still in development or other causes. It’s early days though, and the platform is still only in open beta at this stage, so you can expect to see further tweaks over time. 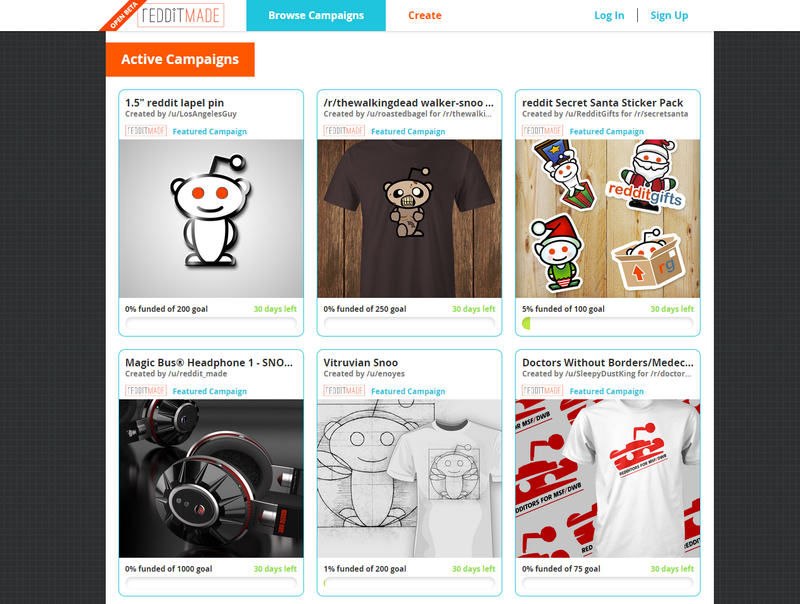 Official subreddit campaigns will be highlighted as featured campaigns on Redditmade, and may also qualify for free ads on Reddit itself. Mods will also have the power to officially endorse other subreddit campaigns. In addition to keeping all the donations, campaign owners also have the option to either sell at cost and thereby generate no profits or to donate any profits to a charity, event or individual. By default, campaigns run for 30 days. Redditmade handles all the payment side of things too and nothing is charged until a campaign reaches its goal and production commences.